Zanna graduated from economics and management faculty of the Belarusian trade and economics university in Gomel. 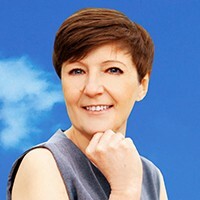 She started in join-stock company 'Polka Tarchomin', one of the biggest pharmaceutical companies in Poland, as Head of the export department. Zanna was responsible for the companies’ representation in Russia. Zanna joined OSG in 2013 to become General Director of OSG Belarus. Her efficiency and professionalism has enabled successful growth for OSG in Belarus.